THE CHURCH AND FUNCTIONAL DISSONANCE | Thoughts of a Calabarboy. 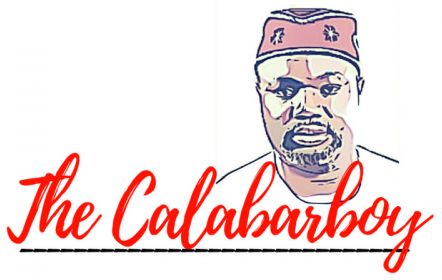 THE CHURCH AND FUNCTIONAL DISSONANCE – Thoughts of a Calabarboy. I live in a part of Abuja, Nigeria where the access road to my apartment is not motor-able. Every day I go through the horrors of coming out and getting in, risking headaches and potential injuries. What am I doing there? That’s another story that only Abuja residents can help me articulate. My concern in this little rant is the obvious ‘functional dissonance’ that exists in this neighbourhood and for which every fibre of my being is fighting against. Let me first explain what I mean by functional dissonance. Although dissonance as a word applies to different fields and thereby different import, I will like to borrow the term from the field of music, of which I am quite familiar. In music, the concept of dissonance has to do with combining unstable tones which gives an aural feeling of unrest when listened to. It gives you a feeling that the music is hanging and needs to be resolved by a combination of certain tones that give a comfortable ending. So I choose to apply this concept to a living thing and how it remains unresolved in its primary function to society, hence the term, functional dissonance. One or two examples will clear the air. An extreme hoarder is someone experiencing functional dissonance. This is because your house is meant to be a resting place and a not a storage unit. Hoarders actually have a mental problem and end up in mental institutions. Another example is a footballer striker who decides to use his hands to pick up the ball and throw it into his opponent’s net to record a goal. Strikers strike with their foot not their hands. That is functional dissonance in its simple applicability. Now let me refer its meaning to the relationship between my apartment, the road, and the two prosperous churches around my neighbourhood. I have a really serious problem with seeing a big and obviously thriving church located on a scarcely motor-able road. Yes I know the essential duty and mission of the church is the spiritual salvation of our souls. But we apparently do not attend such services and meetings with our spirits alone. The spirits usually drag along the weary and worn-out flesh to these ‘uplifting’ gatherings. Some tired flesh have even gathered enough strength to work and purchase earthly vehicles for commuting to these divine edifices, while passing through something almost like the step muddy slides of the Amazon. I just wonder how these people, numbering in their thousands can conveniently drive their ‘pastor-blessed’ motorcars more than once a week to these locations and have no concern about the state of the roads. This I find to be functional dissonance because the church is functioning under such apparent discomfort and they choose to ignore it, even though it is clear that they are concerned. The rains have come to worsen the state of the roads around these churches and yet, they still hold heavenly focused programs with (I daresay) little relevance to the earth (the immediate surrounding). If one of these church members approaches me to become ‘born-again’, I have resolved to ask them to get the roads saved first. My premise is based on what Jesus said, and I want to believe He is still saying the same thing today: “You are the salt of the earth”. I translate this mean that we, as the church, ought to make the earth a more desirous place to live in, just as salt flavours the soup and makes it edible. Ignoring the state of our immediate surroundings for more ‘spiritually focused’ engagements, amount to a dereliction of duty. We do not float to church; we walk, drive, and ride to church, while employing the same decrepit public infrastructure to reach our destinations. The second part of Jesus’ declaration in Matthew 5 is that we are the “light of the world”. We have to show the world how to get stuff done and not just contend with it in our words. Light travels faster than sound, thus actions speak louder than words. If these two churches decide to get the road fixed with the simplest and creative means, the government will be better influenced to provide better infrastructure in that neighbourhood. I believe the church can me more committed to social good as much as evangelism and miracle services. You see, in music when you encounter dissonance, you have this unsatisfied feeling that something is wrong and something must be done to correct what is wrong. I honestly think the church, through functional dissonance is giving God a visual and aural dissatisfaction. Until we see and understand that the Earth is the Lord’s and its fullness thereof, we might treat it with the same ‘professed contempt’ we have for the world and its elements. To me the solution is simple. If a church is thriving and prosperous yet situated on a bad road, it should be banned from holding services or conducting evangelism. Thank you very much for stating this “obvious” fact. We, I mean those of us who profess to be Christians or religious, most times forget the aspect of the Lord’s Prayer which says “…Thy will be done on EARTH as it is in heaven….” We are not concerned about the condition of the earth, hence we neglect our duties here, including that of being “our brothers keeper” and only focus on making it to heaven. The question is HOW? May the blessings be.